The final race of the Hereford 5k series was held in almost perfect conditions, although it was a little too warm for a few. 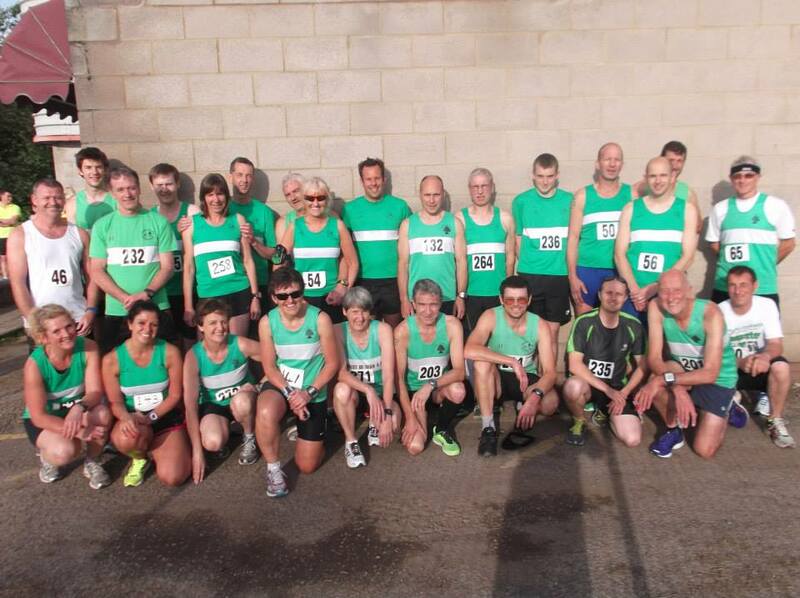 Once again, Forest of Dean AC swamped the entry with about 30 runners: so much so that the Race Director welcomed everyone to the “Forest of Dean Championship”. First FODAC finisher was Peter Woodward who was 3rd overall and broke the magic 17 minute barrier for the first time by 11s. Marcus Bennetto, John Russell, Richard Pegler, Dan Sandford, Chris Moore, Brian Francis all clocked up PBs. The race series prizes were also awarded with Lynne Park FV45, Jacqueline Green FV55, Alan Robertson MV55 & Chris Moore MV60 all picking up category awards. Times: Pete Woodward 16.49; Marcus Bennetto 18.14; John Russell 18.19; Richard Pegler 18.24; James Dobbing 18.41; Gavin Robertson 18.58; Phil Thomas 19.03; Daren Smith 19.18; Dave Lowthian 19.19; Dan Sandford 19.25; Walter Leach 20.07; Scott Berry 20.15; Chris Moore 21.15; Brian Francis 21.19; Alan Robertson 21.40; Lynne Park 23.16; Emma Davies 23.28; Peter Short 23.32; Roger Morgan 24.14; Fanny Rollinson 24.39; Jackie Green 24.41; Stef Francis 25.21; Ian James 25.48; Vanessa Pegler 27.20; Jo Babij 27.58; Bev James 29.07.